Fans of the Civilization series of strategy video games are no doubt looking forward to Civilization VI, the latest entry in the iconic series which is slated for release in October this year. This upcoming game will feature some gameplay innovations like the new city districts mechanic (so that cities in the game will occupy several map tiles instead of one) and enhanced diplomacy, and also a more modern user interface and better visuals too. Like in earlier Civilization instalments, players will have many civilizations to play as in the game, each with their own unique units, buildings and strengths. We’ve already seen that the likes of Egypt, Japan, England and France will feature in the game, but there will also be newcomers like Scythia. 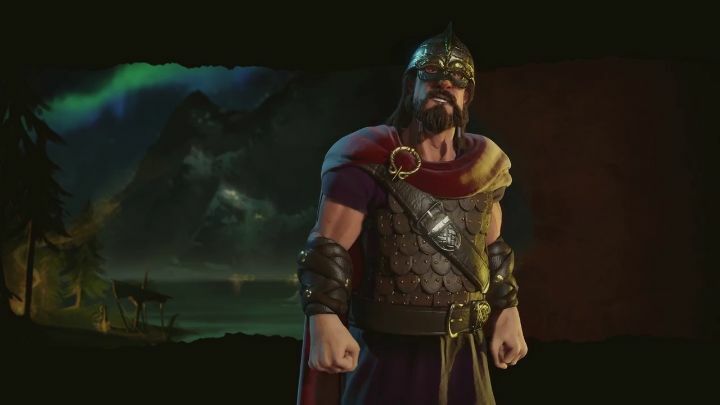 The latest preview video by Civilization creators Firaxis focuses on Norway and its Viking leader Harold Hadrada, a fearsome warrior who commands a powerful fleet in the game, as Norway will be a strong seafaring nation in Civilization VI. This is due to the fact that all of Norway’s melee naval units (those not capable of ranged attacks) will be able to perform coastal raids against enemy civilizations. Norway’s unique naval unit, the Longship, is also capable of raiding coastal cities but has the advantage that it can “heal” in neutral waters as well, making it a very dangerous naval unit in the early game. Also, Norway’s land units can embark and disembark without cost, and Norway also has an additional advantage in the fact that once players research the ship building technology in the game, all their naval units can navigate deep waters (and not just stick to the coast). This means Norway will likely be the first civilization in the game to sail the oceans and explore other continents. Harold Hadrada’s Norway will be no slouch when it comes to waging warfare on land too, as its unique land unit, the berserker, will have an easier time pillaging enemy settlements and also a bonus when attacking other civilization’s units (Norway’s berserker gets a penalty when defending though). So it seems Norway will be the right choice for those Civilization players who want to focus on naval warfare, perhaps forging a maritime empire in the process… What is clear, though, is that this latest Civilization game is looking like it could be one of the best released to date, although we will know for sure if Firaxis has come up with a great game once again when this latest Civilization instalment hits the shelves late next month.